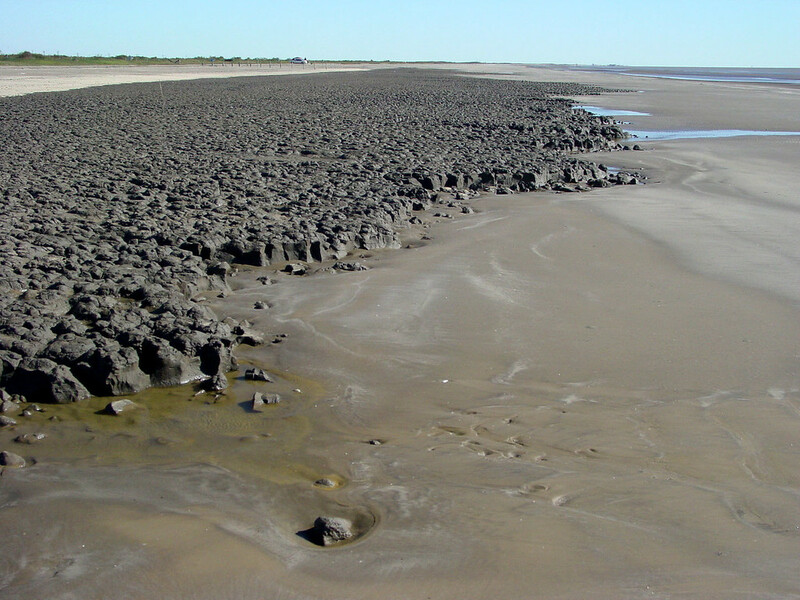 I shot these photos in 2003, at Sea Rim State Park in east Texas, close to the border with Louisiana, a relatively remote and beautiful state park along the Gulf coast that suffered a lot of damage during both Hurricane Rita in 2005 and Hurricane Ike in 2008. 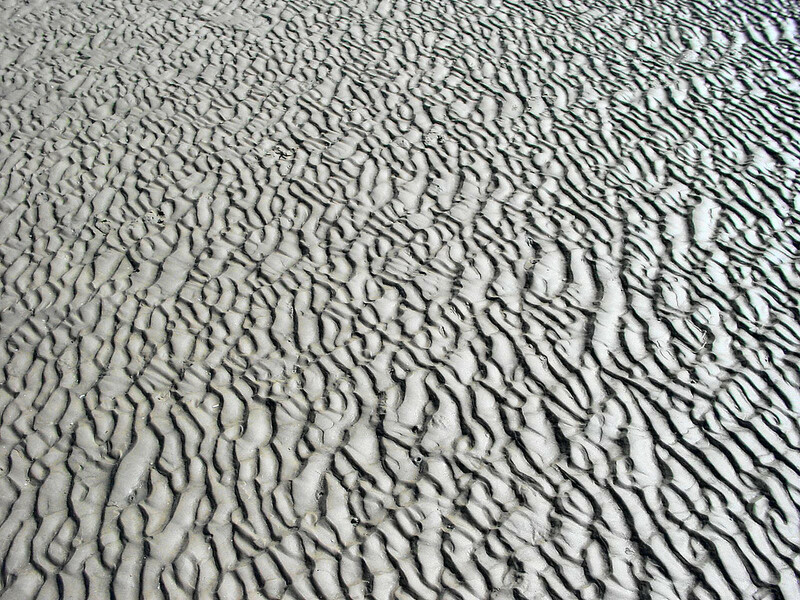 On that chilly November day the light was great and the variety of shapes and patterns created by wave ripples and exposed during low tide was amazing. 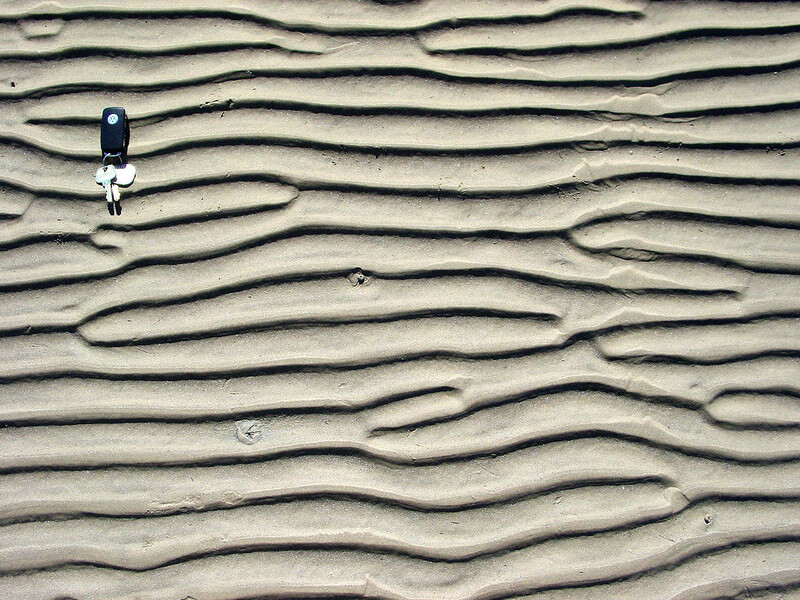 Wave ripples are more symmetric than current ripples. 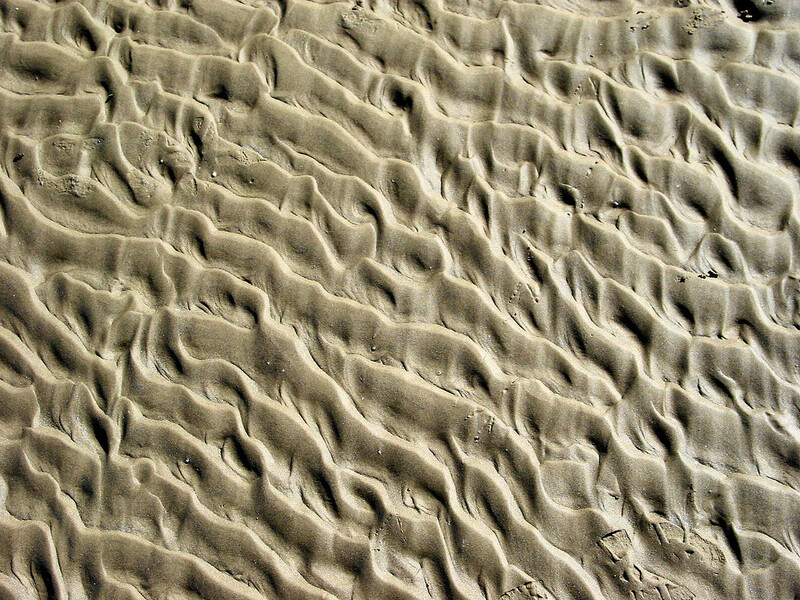 Needless to say, wave ripples originate thanks to the back-and-forth movement of sand by waves, whereas current ripples form under unidirectional flows (like rivers and turbidity currents). 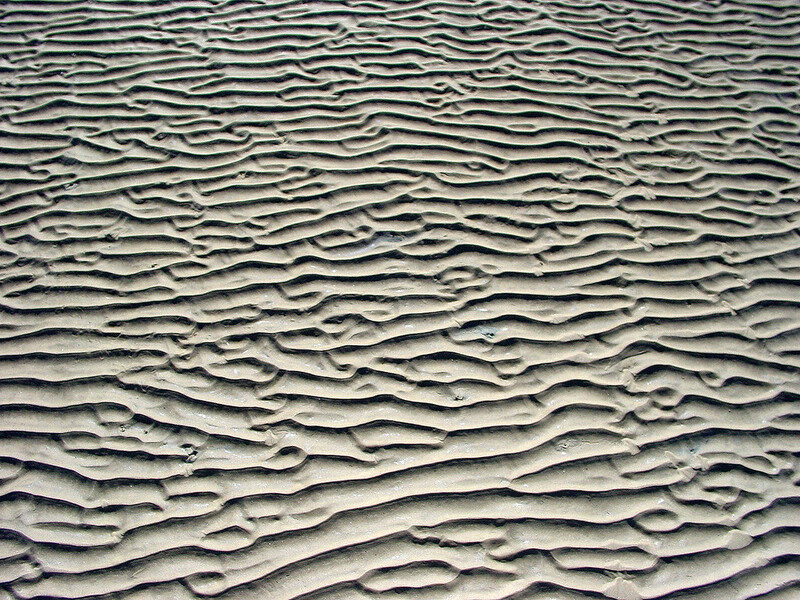 Wave ripples are also more regular than current ripples, extend for much longer distances laterally, and often terminate - or continue - in 'Y'-shaped junctions. For the same wavelength, they are also taller; the L/H ratio of most wave ripples is between 4 and 10, in contrast with current ripples that have an L/H value of ~20.